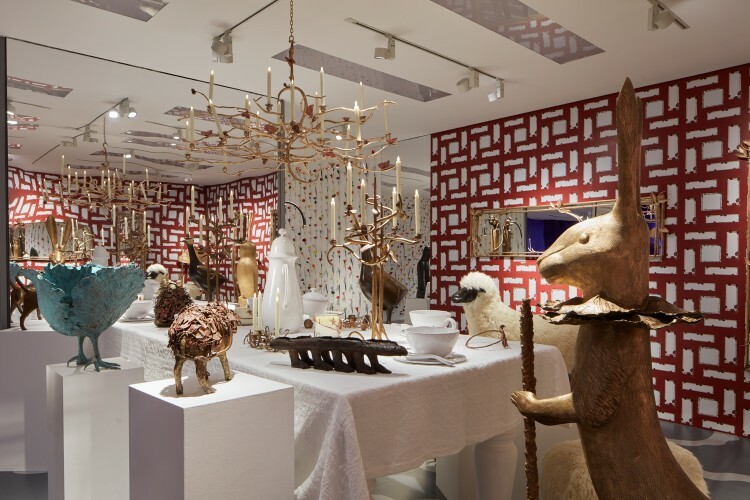 Ben Brown Fine Arts is honoured to present Les Lalanne in London, an elaborate and extensive exhibition celebrating the extraordinary oeuvres of Claude and the late François-Xavier Lalanne. 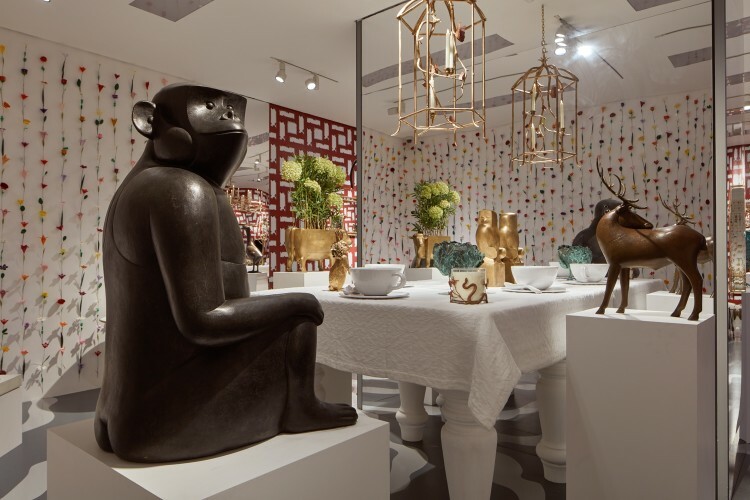 Transformed into a fantastical tea party-like setting, the gallery space overflows with surrealist associations, characteristic wit and inspiration from the natural world. 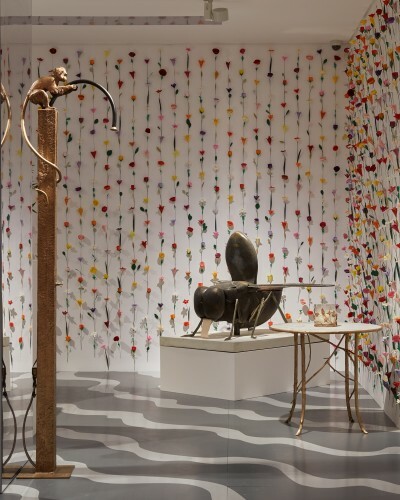 Les Lalanne creates a world of fantasy, reflecting the artist's delicate attempts at bringing nature into the home - visitors are invited to tea in a surreal room of Claude's foliage-framed bronze and copper mirrors, surrounded by whimsical Lalanne-inspired wallpapers, her delicate Chaise Feuilles Bambou (2009/2017) andChaise aux Branchettes, (1996/2010) mounted on the walls, beckoning viewers to take their seats. Choreographed by interior designer Manfredi della Gherardesca, Les Lalanne brings together over 60 works by Claude and François-Xavier and offers a panorama of their artistic output from the 1960s to the present. 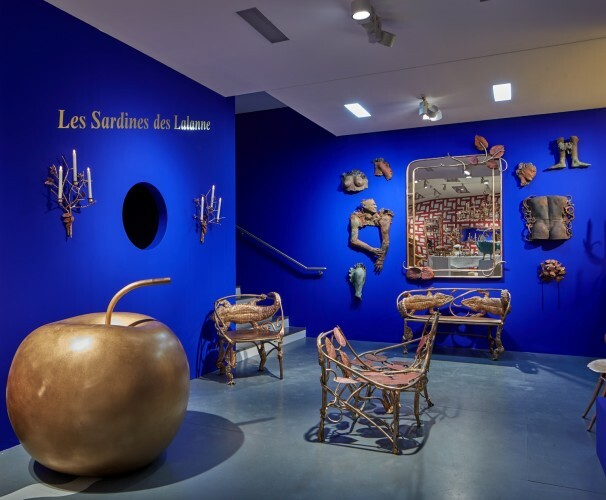 Ornate works by Claude include a rarely exhibited series of body molds created in 1975, which echo Yves Saint-Laurent's commission for his 1969 autumn-winter collection. Other works by Claude - Choupatte (2014-2015) and Petit Lapin Debout à Collerette (2017) - take a seat at the table while her iconic Banquette Crocodile (2010) and Trône de Pauline (2007) sit nearby. 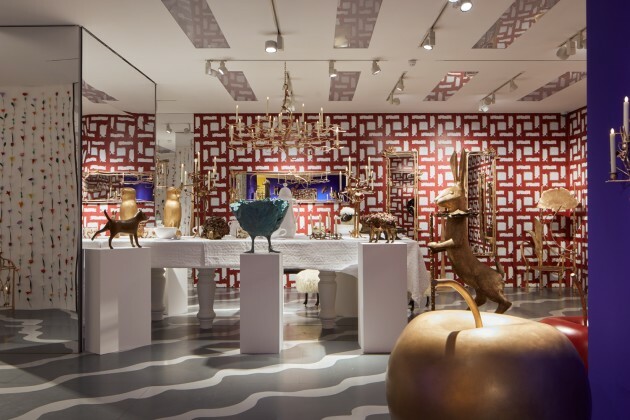 Alongside these, visitors will encounter more austere works of her late husband François-Xavier Lalanne, including a duo of his fanciful dogs, Petit Chien Héroïque (Bibi and Loulou), his iconic Mouton de Laine (1965-1974)and the elegant, Brancusi-inspired Petit Génie de Bellerive sur Pylône. A secret peep-hole beckons visitors to peer inside a strange a dreamlike room, where Claude's intricate handmade silver cutlery service comprised of twigs, shells, leaves, petals and other ephemera from the natural word is suspended over Francois-Xavier's incredible La Boîte à Sardines (1971), a bed of silver leather sardine cushions sitting sumptuously inside a giant sardine tin. 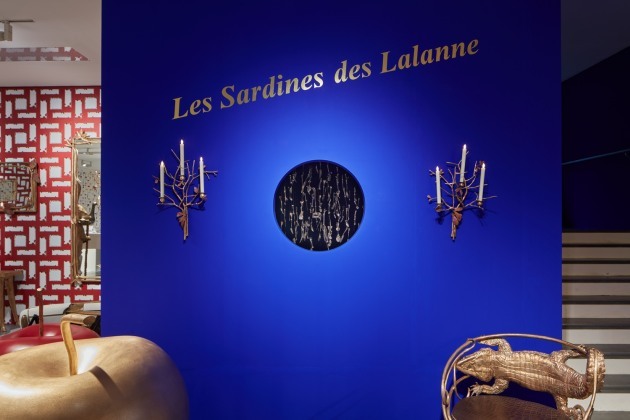 While Les Lalanne shared a studio and exhibited together throughout their careers, their oeuvres are entirely distinctive. 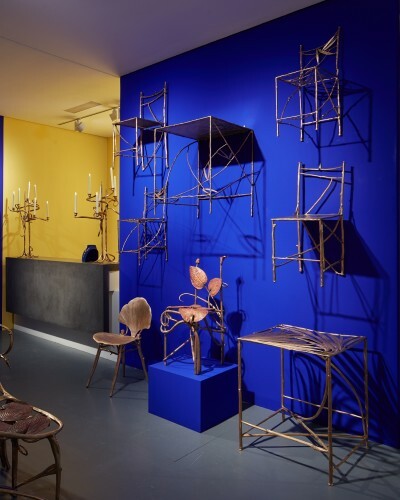 Claude's work embodies a more sinuous and ethereal form with inspiration taken directly from nature while François-Xavier's works offer a gravity of form and functional ingenuity that redefine their original representation. 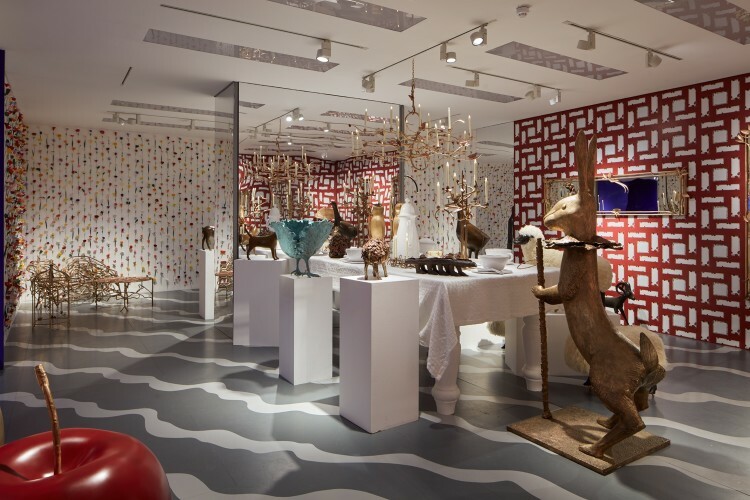 Together, the Lalannes' works are at once playful, profound, elegant and evocative, and equally suitable for traditional and contemporary environments.